The Victoria-based vocal quintet, Fifth Street, combines the worlds of pop, jazz and R&B in perfect five-part harmony. 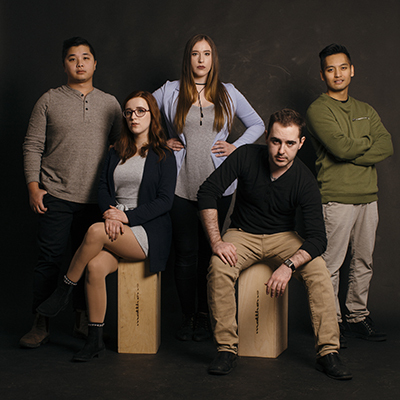 The sublime voices of Natasha Penfield, Jilaine Orton, Ryan Narciso, Kenji Lee and Taylor Caswell found a groove together while students at UVic and as members of the UVic Vocal Jazz Ensemble. You’ll enjoy their original a cappella arrangements of pop hits such as Imogen Heap’s Hide and Seek and Morning Light by Justin Timberlake as well as fresh takes on timeless classics including Georgia On My Mind and What Are You Doing New Year’s Eve.